Equipment in the partially completed Rita E. and Gustave M. Hauser Digital Teaching and Learning Studio in the concourse level of Widener Library. Come October, the books and carrels of traditional scholars at Widener Library will be joined by a more contemporary educational tool. A state-of-the-art video production studio to be managed jointly by the Faculty of Arts and Sciences and HarvardX, Harvard’s subset of the larger edX online learning initiative, will open next month on the concourse level of Widener Library. The new space will aim to provide faculty with an opportunity to create digital material for Harvard courses online and on campus. 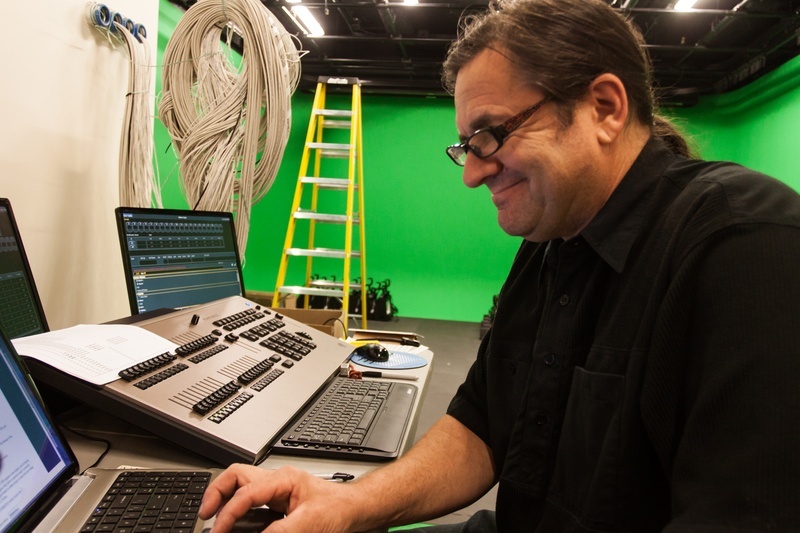 Christened the Rita E. and Gustave M. Hauser Digital Teaching and Learning Studio, the new studio will feature green screens, high-definition cameras, and an LED light grid that will give a physical presence to Harvard’s foray into online education. Among other initiatives, highlighted by Harvard’s launch of edX and growing efforts to integrate technology into the classroom, the creation of the new studio indicates that what began as an experiment in digital pedagogy has increasingly become an institutional priority. Led by Smith, administrators first began discussing the recording and production facility last winter, according to Robert G. Doyle, associate dean for instructional media services. 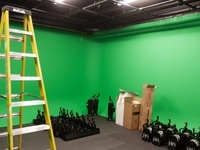 Construction began in early July and has involved repurposing a former storage space into a studio setting. Doyle, who oversaw the project’s development and will co-manage the studio when it is complete, said he expects the facility to have a soft opening by the end of October. Video data will be transferred for post-production by direct cables wired underground from the Hauser Studio to the Derek Bok Center for Teaching and Learning, Media Technology and Services, and the Maxwell Dworkin staff office for CS50: “Introduction to Computer Science.” The online version of the popular campus course is the most-enrolled HarvardX class, with more than 150,000 registrants. The Hauser family previously made a larger gift to Harvard in fall 2011, establishing the President’s Fund for Innovative Teaching. The $40 million gift, which also endowed the Harvard Initiative for Learning and Teaching, was broadly aimed at integrating technology into the classroom and funding research on improved pedagogy. 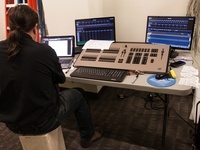 It could not be confirmed whether a connection exists between the Hausers’ 2011 gift and their funding for the new production studio. "At an institution well known for innovative research facilities, it is wonderful to see that same level of physical support being made available for faculty to push the envelope in teaching and learning,” Robert A. Lue, faculty director of HarvardX and of the Bok Center, said in a statement. While the CS50 staff and the Bok Center will have complete access to the studio at all times, all faculty will have the opportunity to utilize the facility on a first-come, first-serve basis. A full-time video specialist will be on hand to coordinate production. —Staff writer Nicholas P. Fandos can be reached at nicholas.fandos@thecrimson.com. Follow him on Twitter @npfandos. —Staff writer Amna H. Hashmi can be reached at amnahashmi@college.harvard.edu. Follow her on Twitter @amna_hashmi. An earlier version of this article stated that funding for the new Hauser Sstudio came from a $40 million grant given by the Hauser family in 2011. To clarify, it could not be confirmed whether a connection exists between the Hausers’ 2011 gift and their funding for the studio. Earlier versions of photo captions accompanying this article stated that the studio is located in the basement of Widener; to clarify, the studio is situated on Widener’s concourse level. Earlier versions of photo captions accompanying this article incorrectly described the new Hauser Studio as an edX initiative. In fact, it is meant to broadly support digital pedagogy at Harvard. The Crimson, usually such an ardent champion of those whose rights have been trampled, is on the wrong side of this issue. Former Harvard psychology professor Marc D. Hauser responded publicly to Princeton philosophy professor Gilbert Harman’s accusation that Hauser failed to adequately credit another scholar in his 2006 book, Moral Minds. 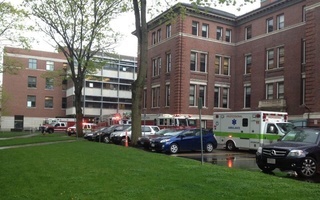 The tenth floor of William James Hall, which previously housed the research facilities of former psychology professor Marc D. Hauser, will be renovated to accommodate laboratory space for three other psychology professors. In a statement to The Crimson, former Harvard psychology professor Marc D. Hauser responded to a report by the Office of Research Integrity published earlier today finding him responsible for six counts of research misconduct, including fabrication of data, doctoring of results, and misrepresentation of research methods. After a two-year federal investigation, the Office of Research Integrity found former Harvard psychology professor Marc D. Hauser responsible for six counts of research misconduct.